Hey mobile game developers – Do you want higher number of Installs? At a lower price/CPI? The solution: Make a compelling animation powered gameplay trailer video. Video inherently has a much higher engagement rate than interstitials or banner ads. It also helps with higher install rates. Here’s an example of how the above scenario can play out (for video only). If you engage in promoting your game’s trailer video with an ad network – let’s say you have an advertising budget of $1,000. The ad network would serve around 100,000 impressions at the rate $0.01 for completed views. Global click through rates (CTR’s) on mobile video campaigns is around 13% (CTR depends on multiple factors such as app niche, ad placement, ad networks, creative, geo location). Hence your ad gets 13,000 clicks. Now, for mobile video ad, the install rate averages 6%. That equates to 780 installs. That means you pay $1.3 per install. 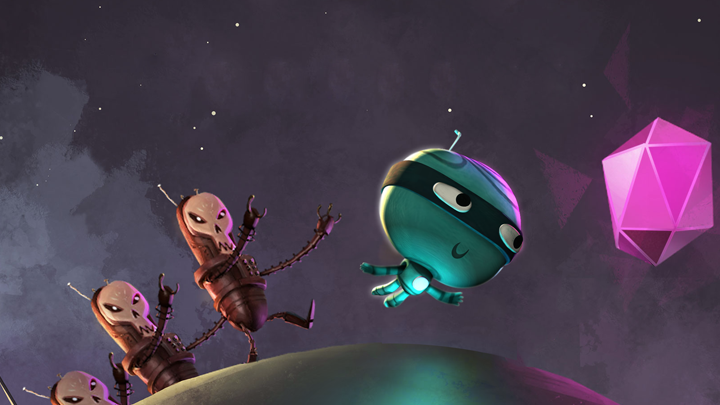 Aatma helped Orbit’s Odyssey, the game to deliver significantly higher install rates, by producing a highly engaging trailer video. The IR on this video (watch the embed below) is averaging around 11% globally (nearly 2x the global average). That means for the same budget of 1,000 we helped Orbit’s Odyssey get 1430 installs. This meant the cost per install was $0.70. Thus, Great videos can help bring down the cost per installs. Also, if you are planning to advertise the video on facebook, the videos get 30% more views than other platforms. This is great for building awareness for your game. It makes natural sense to produce a killer gameplay trailer for your game. This is where we can help. If you have the game assets, we can help create a super engaging trailer video for you. If you are a medium to large studio, and would like to create a promo video similar to clash of clans or game of war, we can do that too! Potentially cost effectively as well. We are in the animation video business. We’ve made some awesome and engaging ads for brands globally. Check out our work, particularly the Zoosk spot, which was an app promo video that was played on TV, Web and Mobile. We love games. We would like to help game developers get more traction. Since we achieved this with our sister company, paperkyte and their game Orbit’s Odyssey; we would love to extend the same offering to a game developer of any size. We know how expensive developing a video can get. We can help you create maximum impact on a budget. We can help create a kickass trailer from scratch or we can reuse the assets you have a stitch up an engaging video. Get in touch with us (info@aatmastudio.com) and lets talk about how to get your game more traction with video.